I painted this one a while ago, but never got around to posting it, probably because I wasn't sure if I was done with it. I'm still not sure. The study was painted in eastern Idaho last September, a year ago this week. When I was painting the study, I spotted what I believe was a beautiful North American Long-tailed Weasel (Mustela frenata). 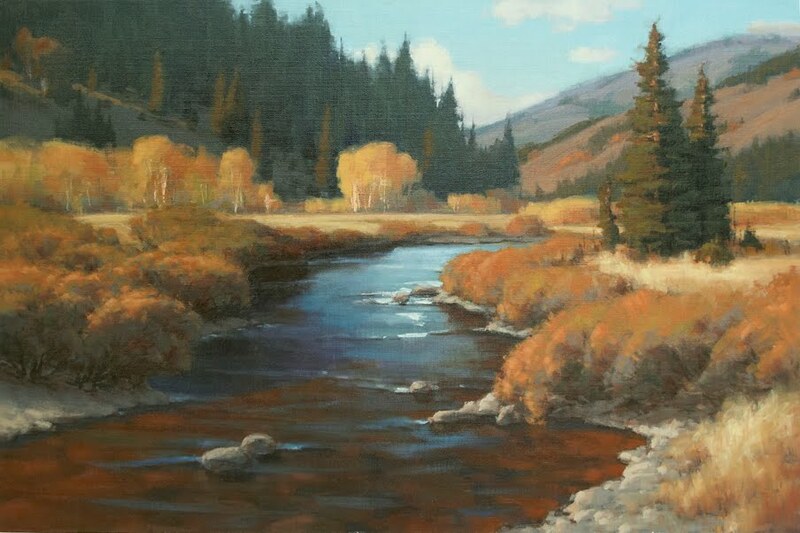 36x24 oil on linen.